From Rte. 22 in Ebensburg, heading east, turn left onto Manor Dr. (SR 1001 North). Follow this road through Loretto, into Chest Springs. In Chest Springs, turn left onto Rte. 36 North. Turn right onto St. Augustine Rd. (SR 1023). 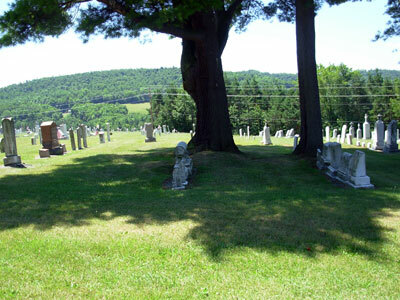 Cemetery will be on the right side of the road in the village of St. Augustine.